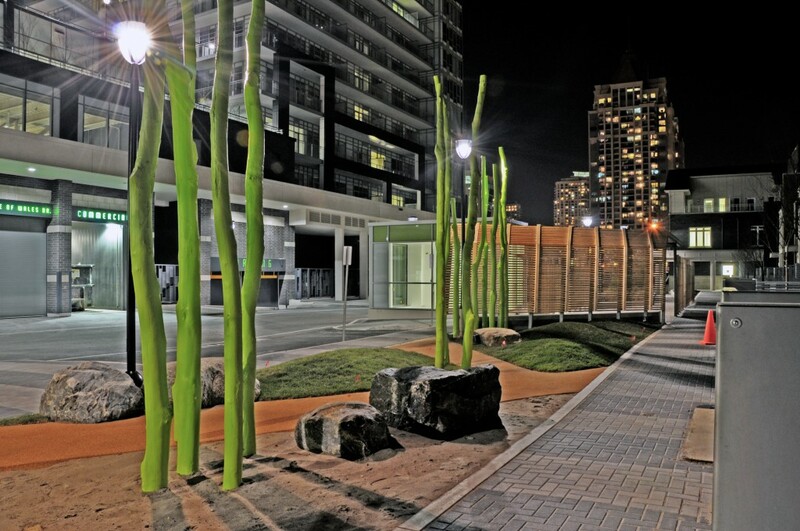 Limelight Condominiums | Commercial Landscape | Mississauga, Ontario | LandArtDesign - Landscape Architects Inc. Bringing nature back into the playground and agriculture back to the City. Sense of play and energy – completeness of community, vitality of the lime green tree stags. 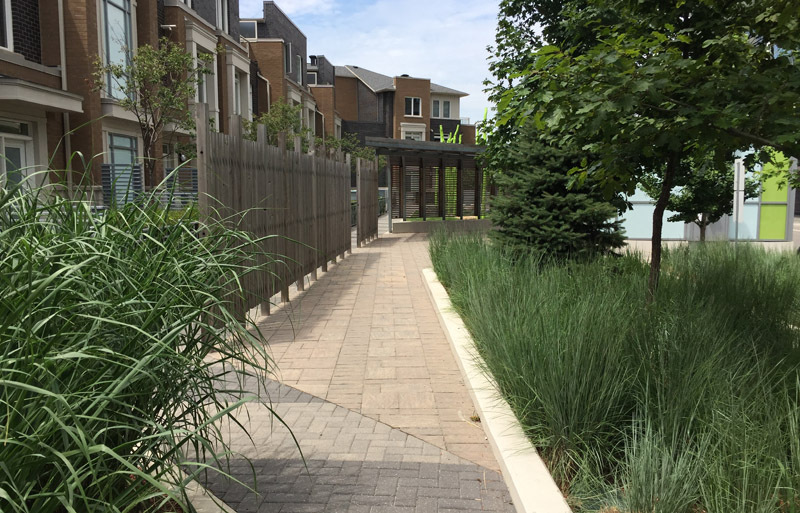 Ground level townhouse patios front the naturalized children’s playground. 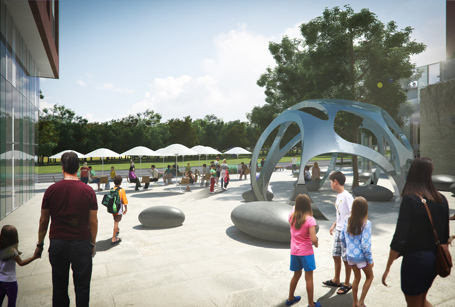 The playground design includes lime green tree stags interspersed between meandering walks and mounding hills and rocks. 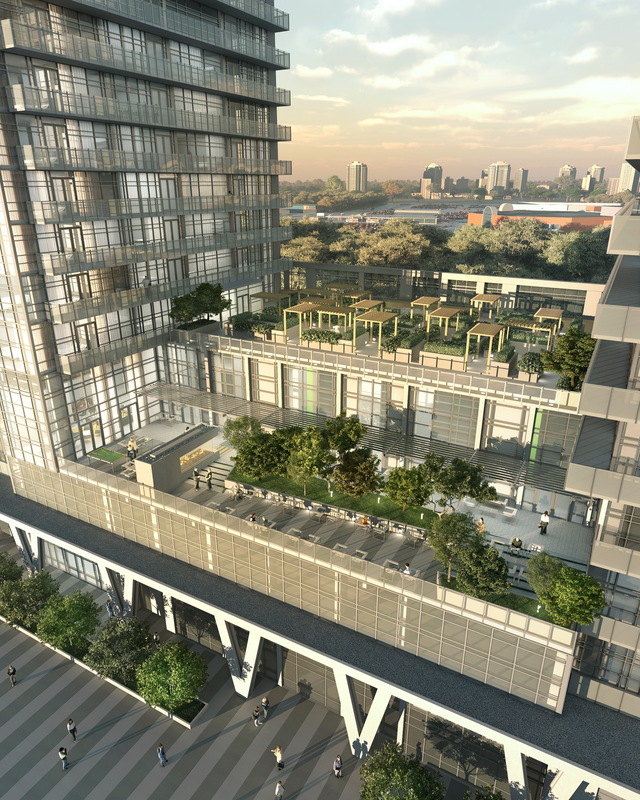 Grade related retail use has been designed in with well-articulated ground plans highlighting entrances to the main condominium entries. Integration into the large planned community. 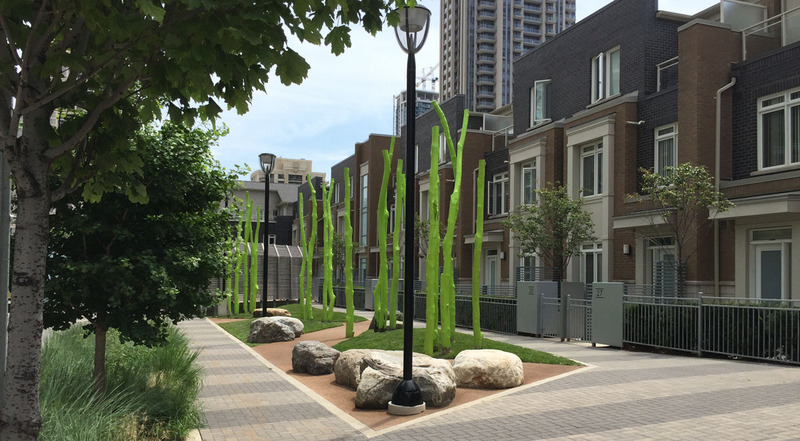 A mews and bioswale landscape feature separates this site from its predecessor. A naturalized playground design features lime green towering trees, berms and meandering paths A naturalized playground design features lime green towering trees, berms and meandering paths curbs the wave of nature deficit disorder from children spending too little time outdoors in tactile environments. An angular wood and galvanized street structure offers a shady place to rest in the sunny courtyard while the surrounding trees mature. 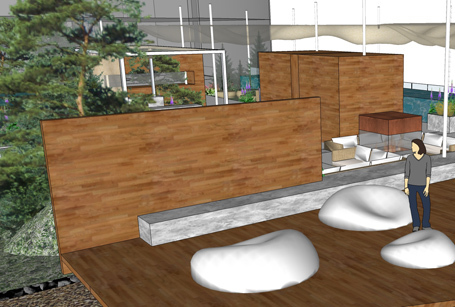 The wood adds warmth and texture and softens the space between the buildings. Vertical wood screens extend throughout the courtyard, providing additional privacy and buffering for the townhouse residents. 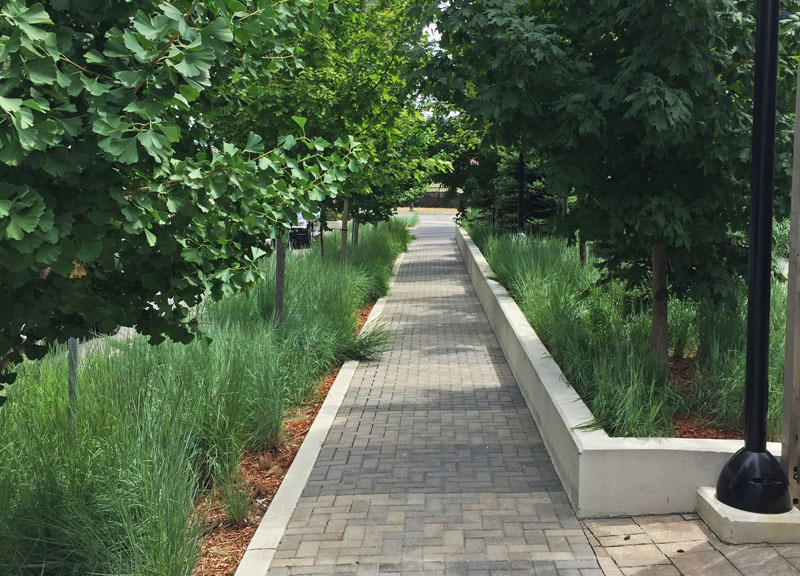 Long walkways are framed by beds full of waving grasses and shade trees. They create a lush and verdant experience when moving throughout the site. 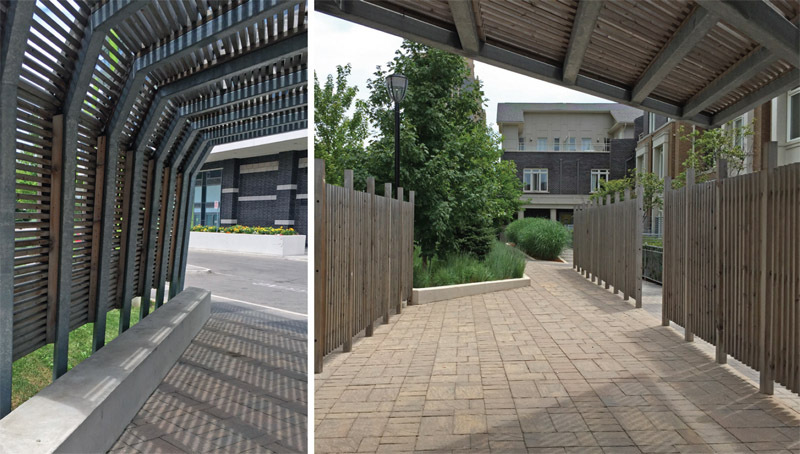 Benches and other seating areas are nestled amongst planting throughout the public spaces that envelope the site. 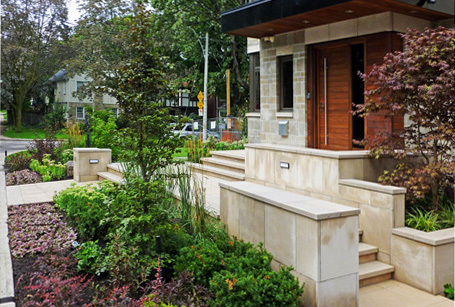 The buildings engage the public realm through the private townhouse front yards, delineated by clean and contemporary metal dividers and privacy screens. 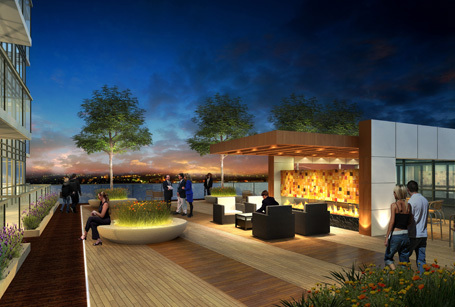 This condo rooftop garden design offers residents a variety of versatile spaces and amenities, including a stone-clad fireplace and lounge, outdoor pool table, numerous dining spaces, and outdoor TV lounge for the ultimate rooftop space. 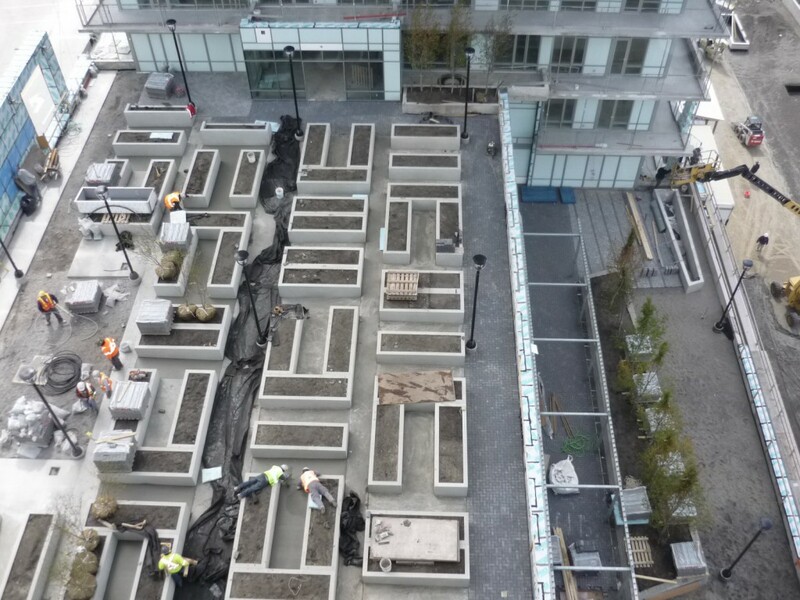 Growing gardens landscaped in geometric patterns creates an opportunity for urban agriculture opportunities for residents. 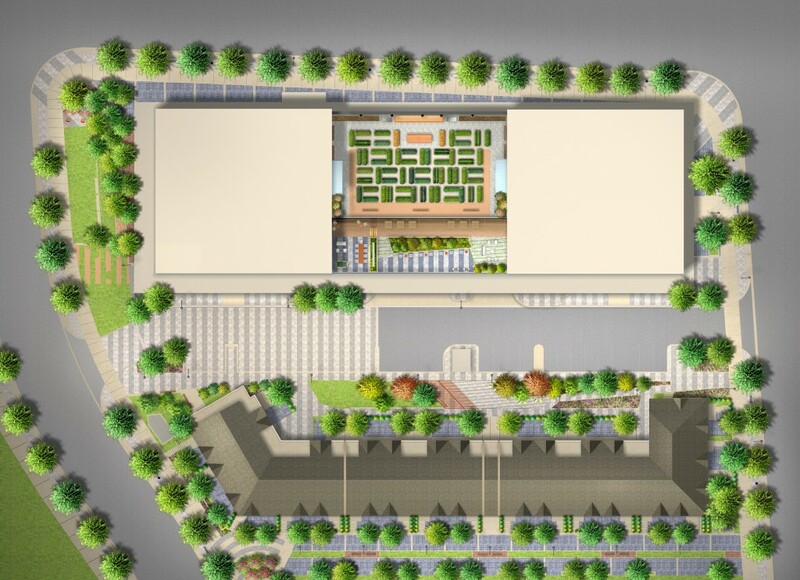 The open air plots are coupled with rooftop greenhouses with potting benches and wash-down stations.